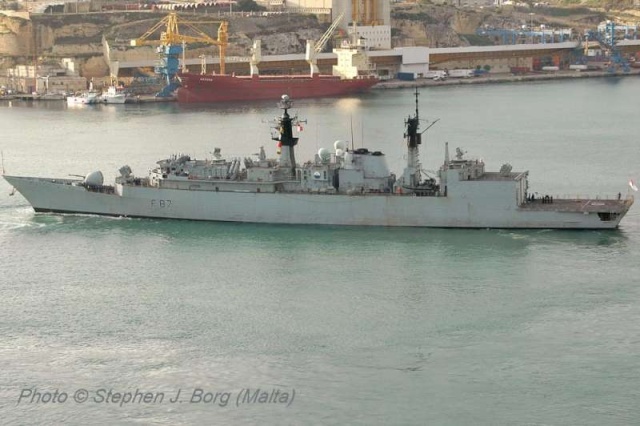 Type-22 Batch III frigate, HMS Cornwall (F99) entering Valletta GH (Malta) on February 2, 2007. 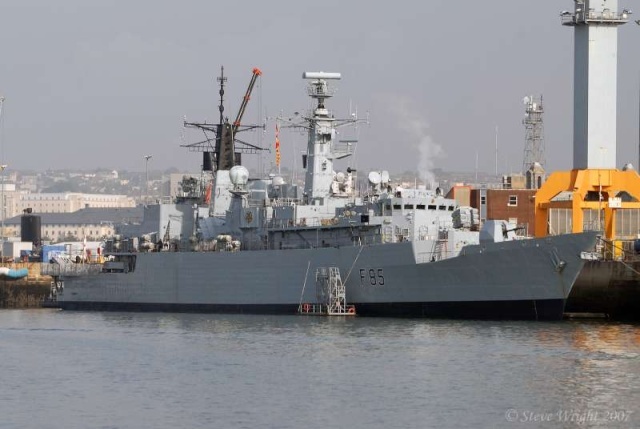 Port side of HMS Cornwall while entering Valletta Port, Malta for a short visit on 2/2/07. 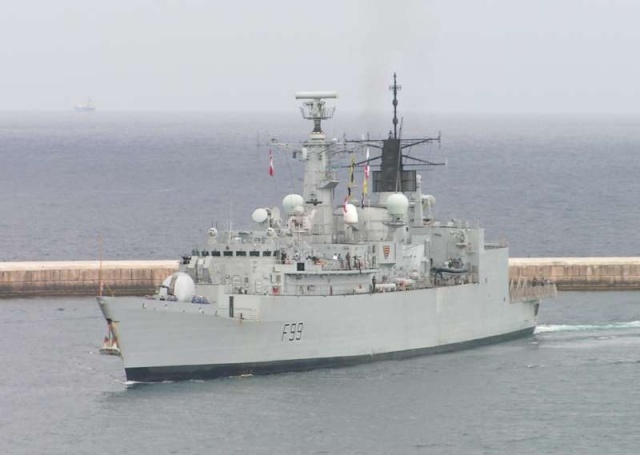 HMS Cornwall just entering breakwater at Valletta Port, Malta on 2/2/07. 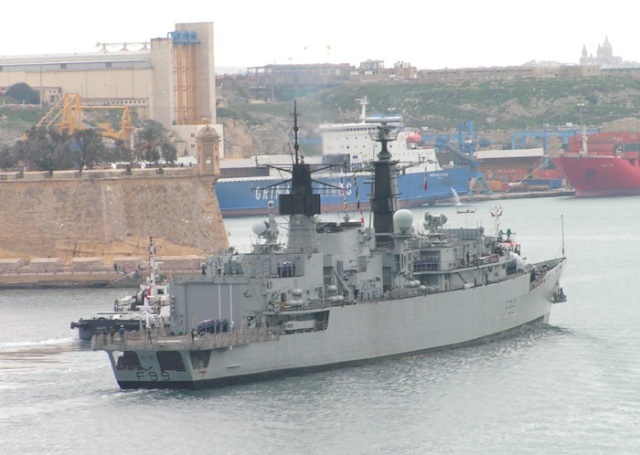 Astern of HMS Cornwall passing infront of Senglea Point, Malta on 2/2/07. 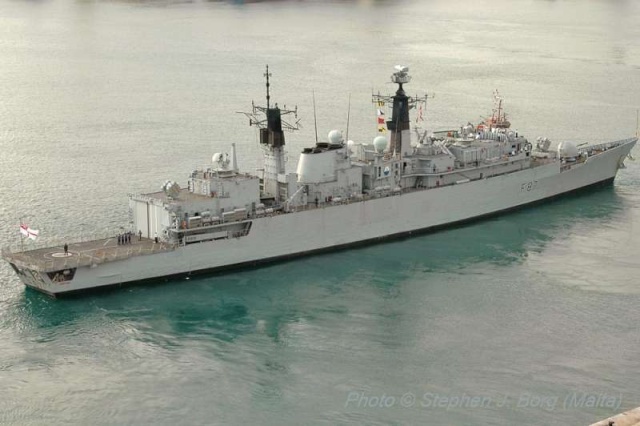 Type-22 Batch III frigate, HMS Cumberland (F85) entering Portsmouth Harbour for the Fleet Review on the 24th June 2005. 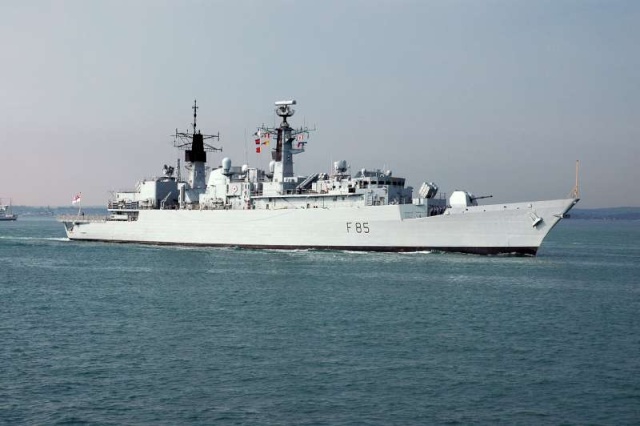 HMS Cumberland (F85) - Portsmouth 2005. 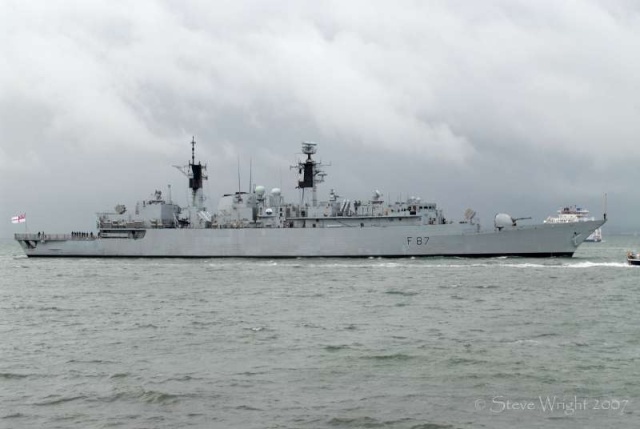 HMS Chatham (F 87) entering Portsmouth Naval Base on the 3rd July 2007. 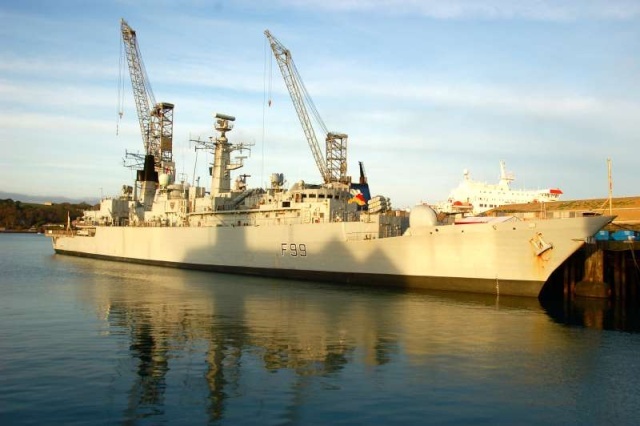 HMS Chatham (F 87) moored up in Portsmouth Naval Base on the 3rd July 2007. 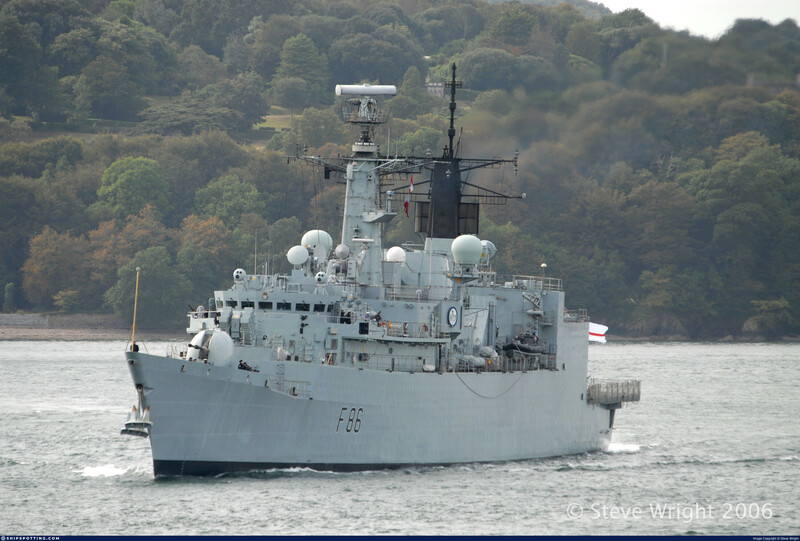 HMS Campbeltown (F86) passing Plymouth Hoe on the 18th September 2006. 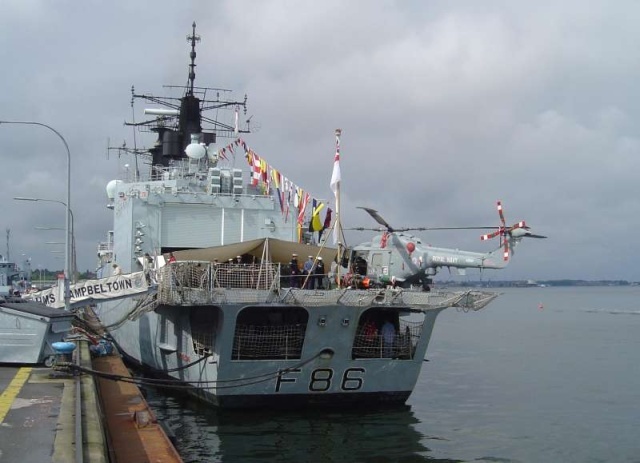 HMS Campbeltown (F 86) - During Kiel-Week 2007 Open Ship (16-06-2007). 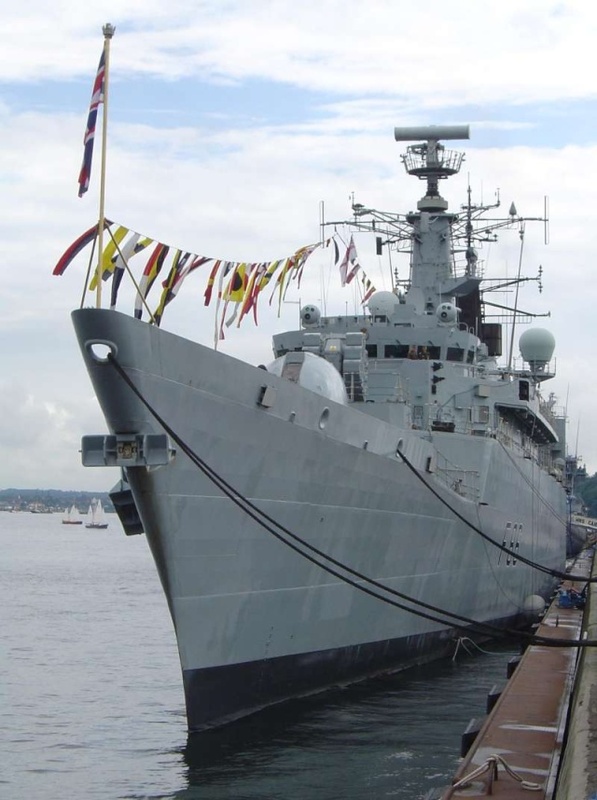 HMS Cumberland (F85) alongside at Devonport Naval Base, on the 11th October 2007. Early Sunday morning in the Grand Harbour in Valletta, Malta, Royal Navy frigate HMS Chatham marked the Royal 60th Wedding Anniversary of Her Majesty The Queen and HRH The Duke of Edinburgh by forming up members of the ship’s company up on the flight deck to form a ‘60’ to send a visual photographic greeting to the Royal couple. 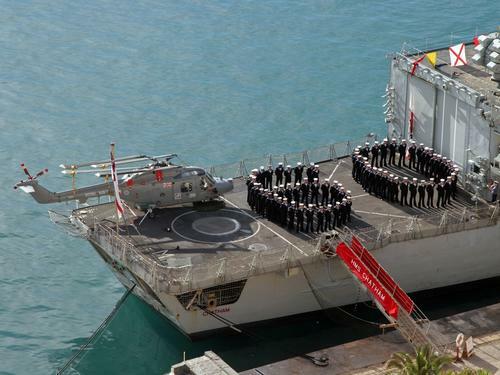 The ship wanted to send the visual message to congratulate the Royal couple on the occasion of their 60th (Diamond) Wedding Anniversary as they returned to Malta. 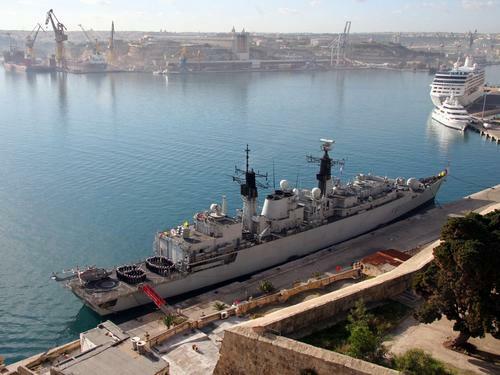 Coincidentally, HMS Chatham is visiting Malta following a series of Maritime Exercises and regional engagements in the Mediterranean. 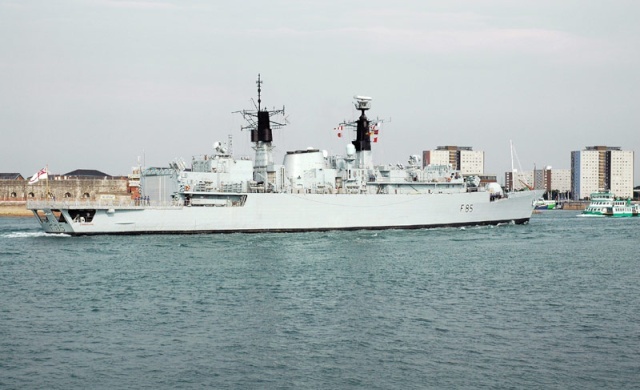 The ship sends their very best wishes to the Head of the Armed Forces, Her Majesty the Queen and hope that the Royal couple enjoy revisiting the island where they first lived when the Duke was stationed there as a serving Royal Naval officer. The engagement between Princess Elizabeth and Lieutenant Philip Mountbatten R.N was announced on the 9th July, 1947. Prince Philip joined the Royal Navy in 1939 and after the war, in February 1947, became a naturalised British subject. He was created "Duke of Edinburgh" by King George VI on marriage. The Queen and The Duke of Edinburgh were married in Westminster Abbey on the 20th November 1947. 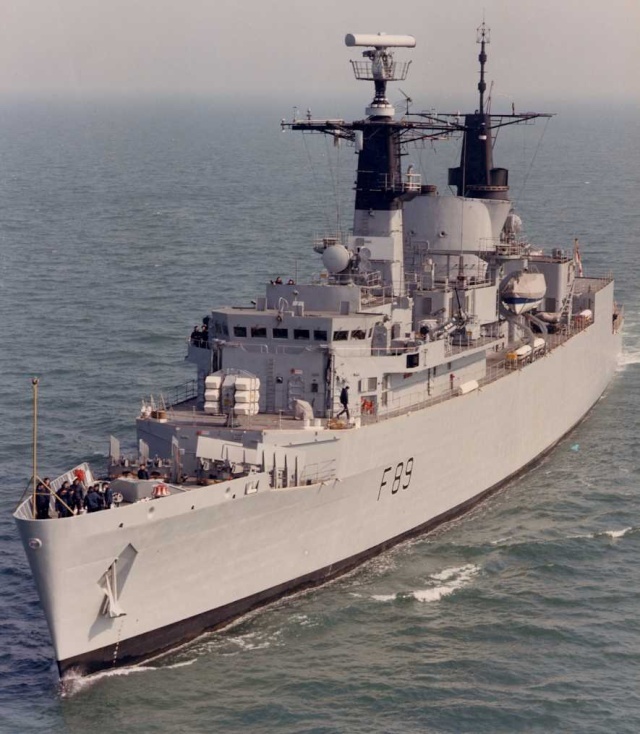 After marrying Princess Elizabeth, The Duke of Edinburgh continued his naval career, reaching the rank of Lieutenant-Commander in command of the frigate HMS Magpie. Today (20th of November), the actual day of their wedding anniversary, The Queen and The Duke of Edinburgh travel to Malta where they lived as a young married couple from 1949-51. A passing GMTV camera crew caught the ship on film preparing for the photograph and broadcast the ship’s preparations on today’s (Tuesday) morning TV show in a news feature while interviewing Anniversary couples on the island who married in the same year. 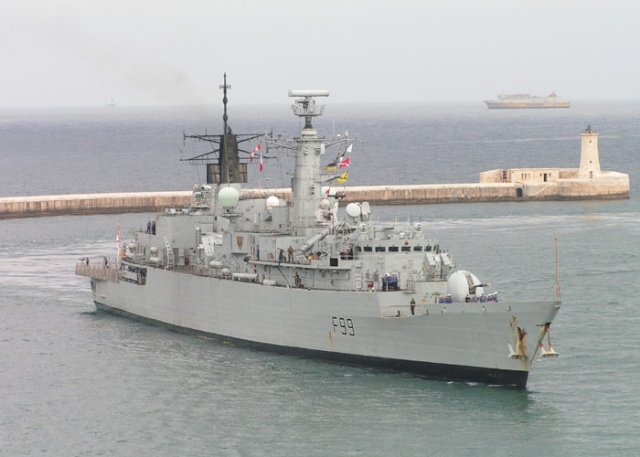 HMS Chatham (F 87) departing from Valletta GH (Malta), on November 21, 2007. 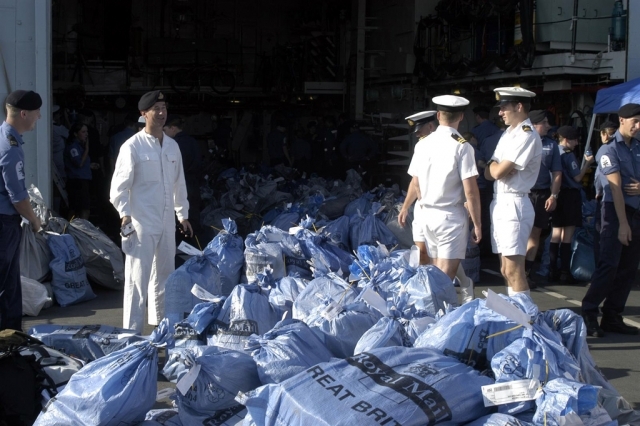 The Ship’s Company of HMS Campbeltown eagerly unloaded over 300 bags of mail that met them as they docked in Muscat, Oman today. The ship is currently 2 months into a 7 1/2 month deployment East of Suez and will be at sea on patrol over the Christmas period. It took some almost 3 hours to sort the mail on the flight deck and hangar and then distribute it to the various messdecks. Leading Regulator Laura Evans, who as part of her responsibilities is the ships mail co-ordinator, said, “I have never seen so much mail come to a ship before, we have had 305 bags today and are expecting about 40 each day for the remaining 4 days we are alongside. At least we will all have something to open on the big day, although it will take willpower to wait until then”. 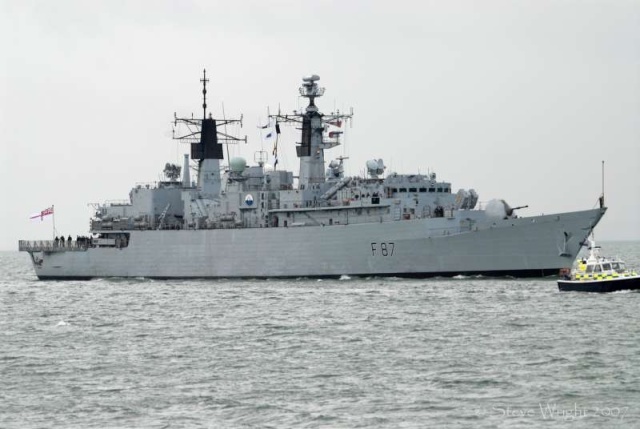 Commander Gordon Abernethy Royal Navy, the Ship’s Commanding Officer said, “This is unbelievable, we were expecting quite a lot of mail as we have been at sea for a while but the sheer scale is amazing. The morale of the Ship’s Company is good but this will definitely help bolster the mood on Christmas morning at sea on patrol. We will all be thinking of our family and friends back home but we have a job to do and will get on with it”. 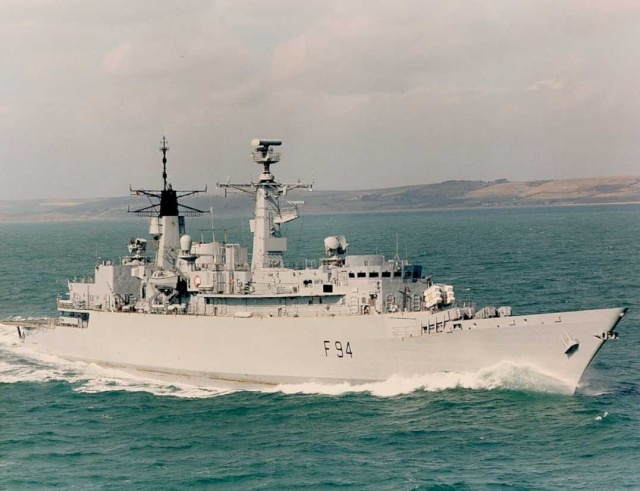 Up to and including Christmas the ship has been conducting Op Calash operating in the Red Sea and Gulf of Aden to counter terrorism, piracy and gun, drug and people trafficking. 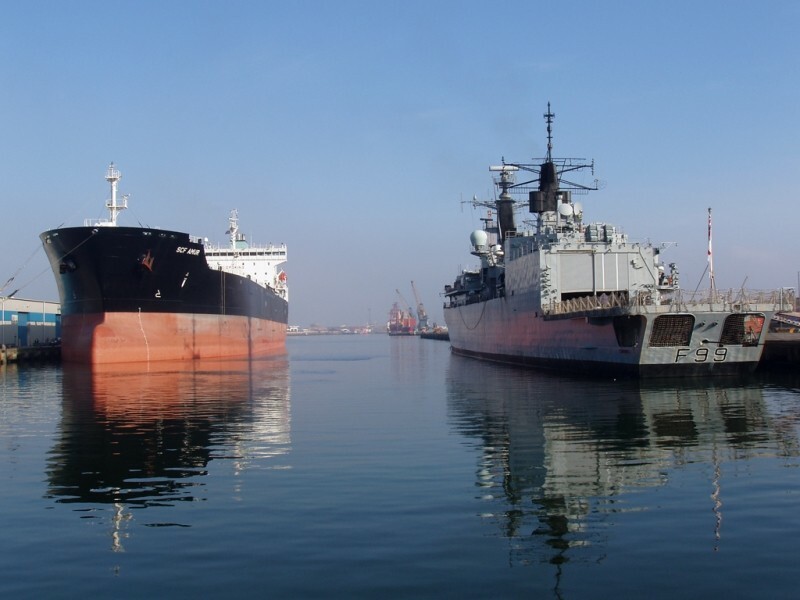 In the New Year the ship switches focus to undertake Op Telic patrolling the Iraqi oil platforms in the Northern Arabian Gulf. 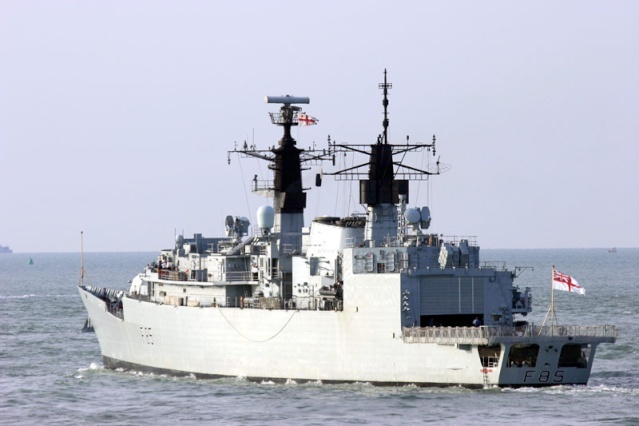 The ship is due to leave the gulf in the latter stages of April, returning to the UK on 23 May 08. 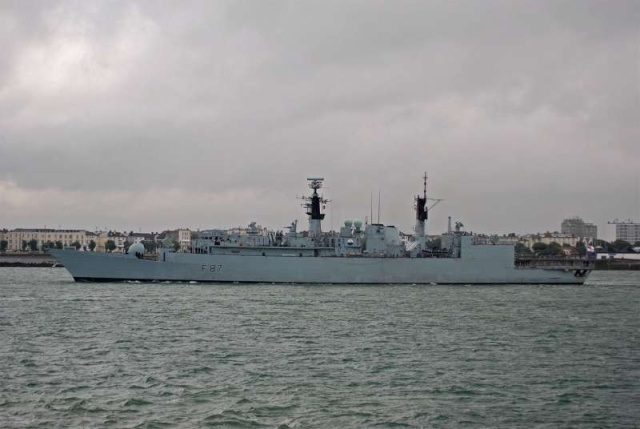 HMS Cornwall (F99) alongside County Wharf, Falmouth, Cornwall. 26/01/2008. 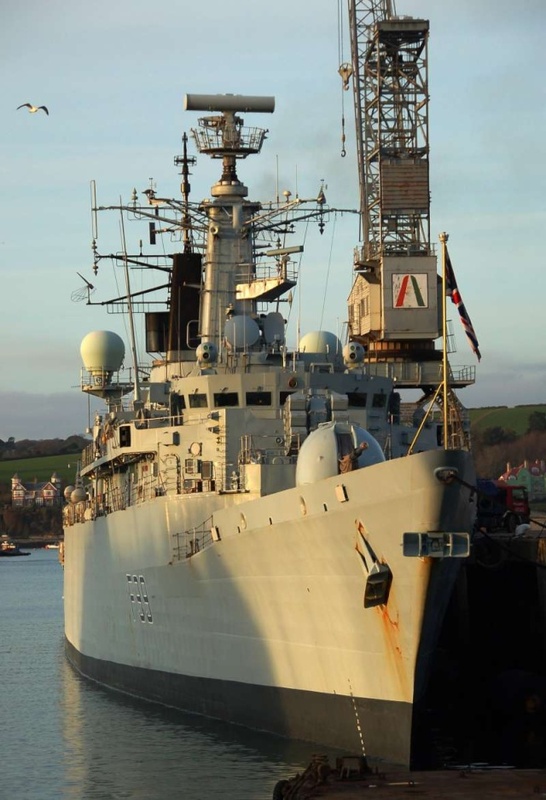 HMS Cornwall enjoyed a very successful visit to Belfast last weekend and sailed on Tuesday (12 Feb). 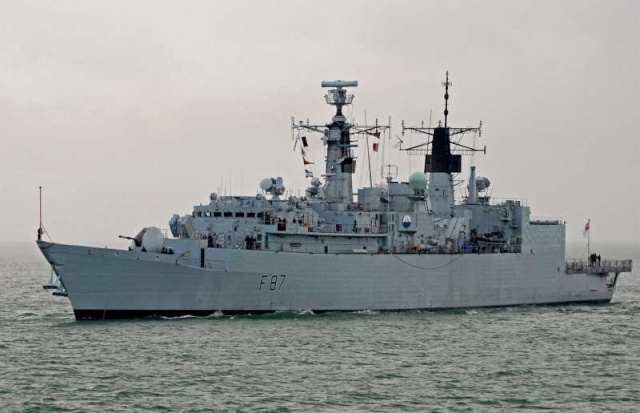 The Plymouth-based Royal Navy frigate was in the city to give the crew a well-deserved rest from operations before taking part in Exercise Armatura Borealis, a multi-national amphibious exercise taking place in the UK and the Arctic Circle. 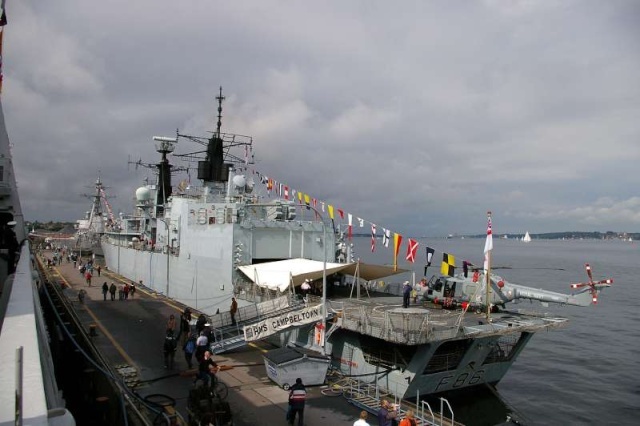 This was HMS Cornwall’s first visit to the Belfast that is has a reputation as a popular stop with Royal Navy ships. There was a wealth of activity for the ship’s company to be involved in over the four days of the visit, including a reception onboard for many of the dignitaries of the region, football and rugby matches against sides from RAF Aldergrove and tours of the area, with the magnificent Giant’s Causeway being a particular hit. 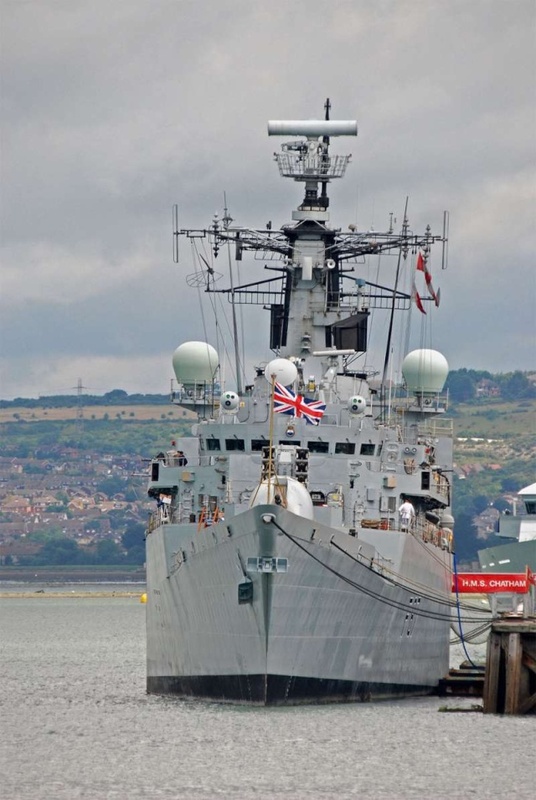 There was also a Careers Forum held onboard for head teachers and careers advisors to show them the opportunities for young people in the Royal and to give them a taste of life on a warship. 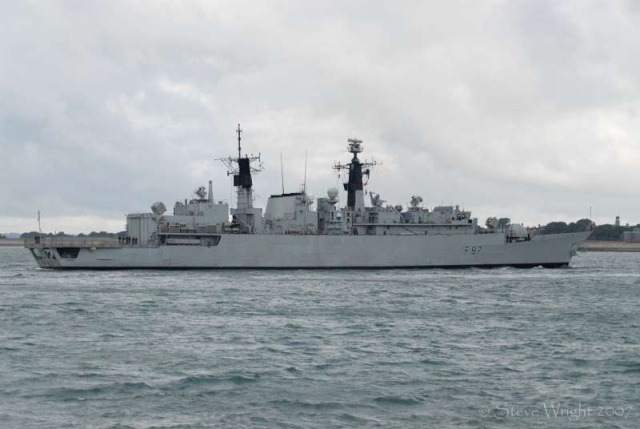 HMS Cornwall now sails to rendezvous with the other ships on Exercise Armatura Borealis, before heading north to test the ship’s naval gunnery on the ranges off Scotland and then over to Norway to conduct amphibious landings with the Royal Marines. 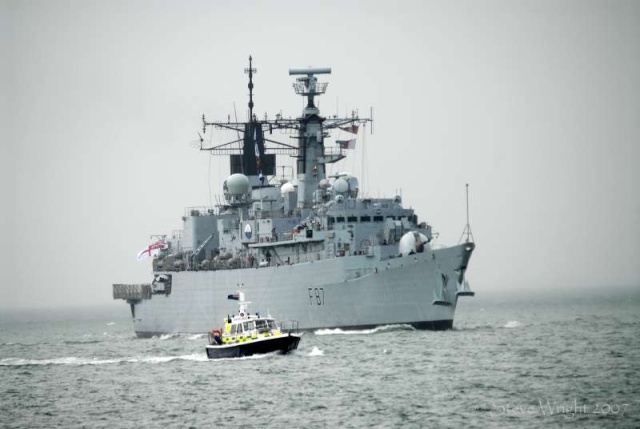 The purpose of the exercise is to prove the UK’s ability to carry out the full scale of amphibious operations, demonstrating the truly global reach of the Royal Navy and its ability to conduct landings and support troops ashore worldwide in the harshest of conditions.